Two small dishes at heights of twenty and twelve inches. Rectangular base, twenty inches by twelve inches. Standard model comes with a carpeted base and finished wood is avialble as an upgrade. For wood, choose the wood finish option in base options. 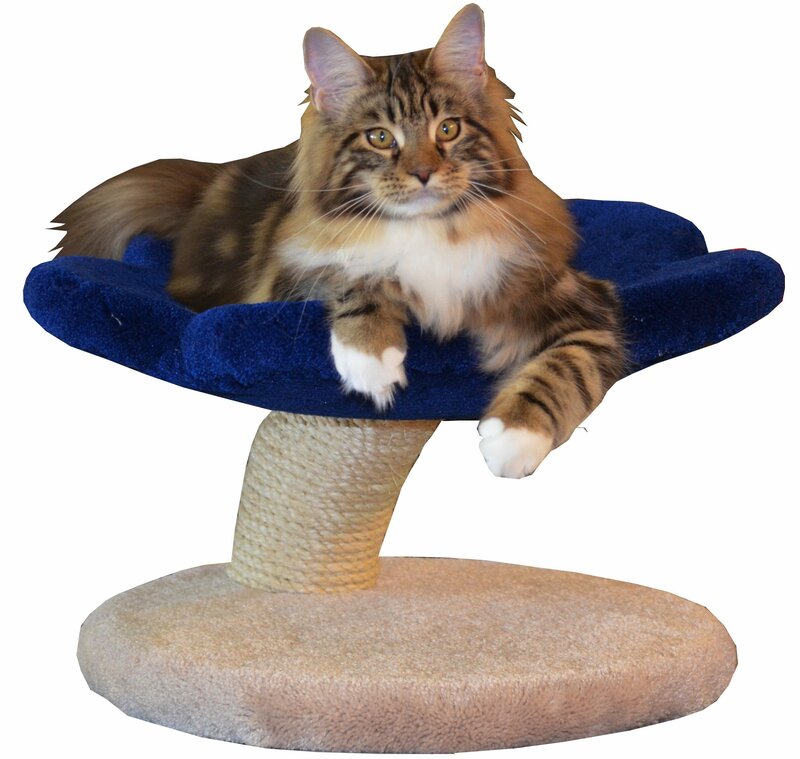 This model is most commonly used for kittens and works well for a small cat when space is an issue. It can be placed in front of a sliding door.